With the advent of Mount Fuji and Matsubara Beach being chosen as the New UNESCO World Culture Heritage, the sake breweries have been scrambling to put on sale brews commemorating the event! 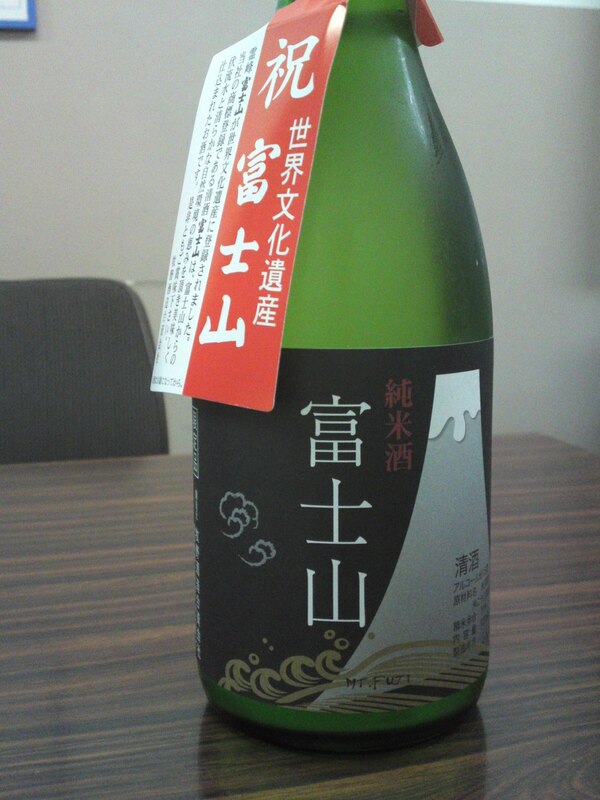 The red tag makes sure you understand the purpose of this particular sake brewed in Fujinomiya City by Makino Brewery at the foot of Mount Fuji. 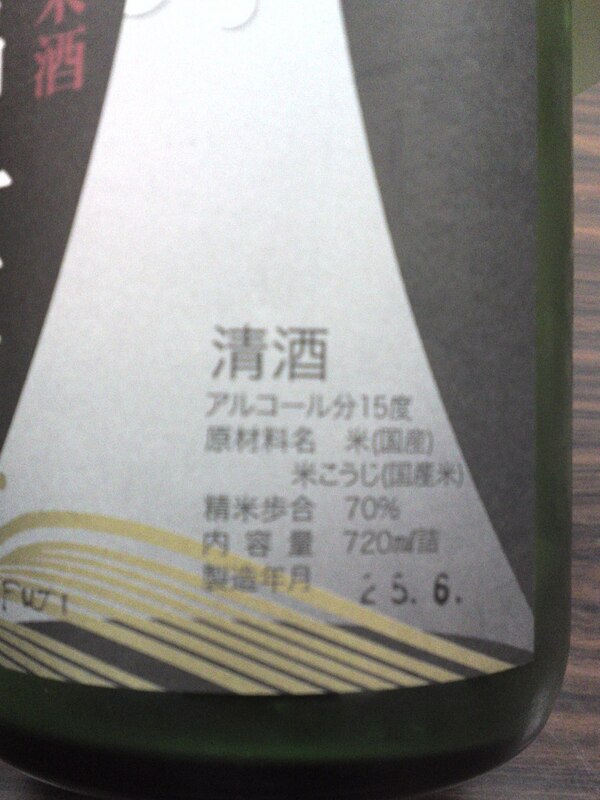 Actually the brand name “Fujisan” is owned by only two breweries, one in Yamanashi Prefecture and by Makino Brewery! Aroma: Light and fruity. Rice, banana. Tasting: Very well-rounded dry attack, fruity with a muted junmai petillant backup. Lingers for a while warming up back of the mouth. Loquats, almonds, apricots, macadamia nuts, apples. Changes very little with food but for a drier note. Actually marries well with any food, especially izakaya fare. Better enjoyed with food as it “nags” you into the next cup. 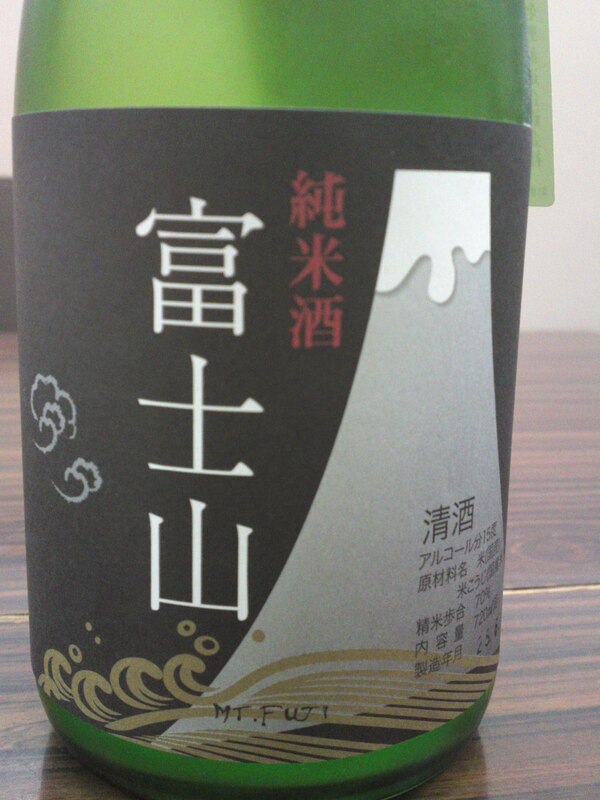 Overall: A typical sake from Shizuoka Prefecture with a lot of complexity, fruit and dry but smooth attck. Whenever enjoyed with food or not, it insistently pulls you back into the next cup, a sure sign of an eminently drinkable sake! The kind of sake to bring to any party including food, be it a bbq or a sophisticated affair!